This is probably my most favourite piece yet! Double Gold: Snakeskin-effect leather on a soft padded foil base. 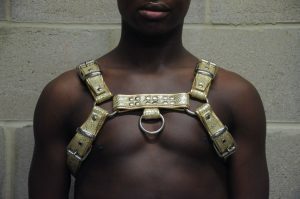 Classic H style harness. Front and back loops.